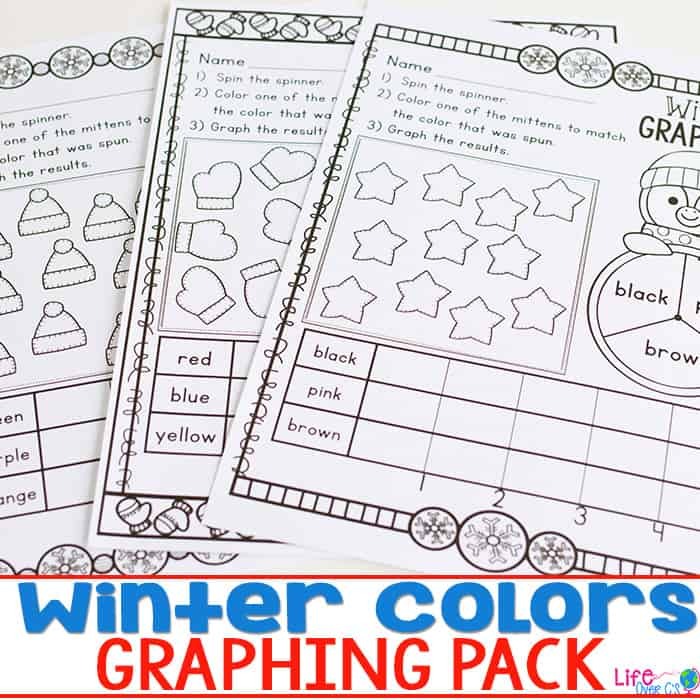 Whether you are dealing with an ice day like us and kids who are stuck inside or you are getting a bit tired of inside recess, these are a great low-prep fine motor activity for winter. 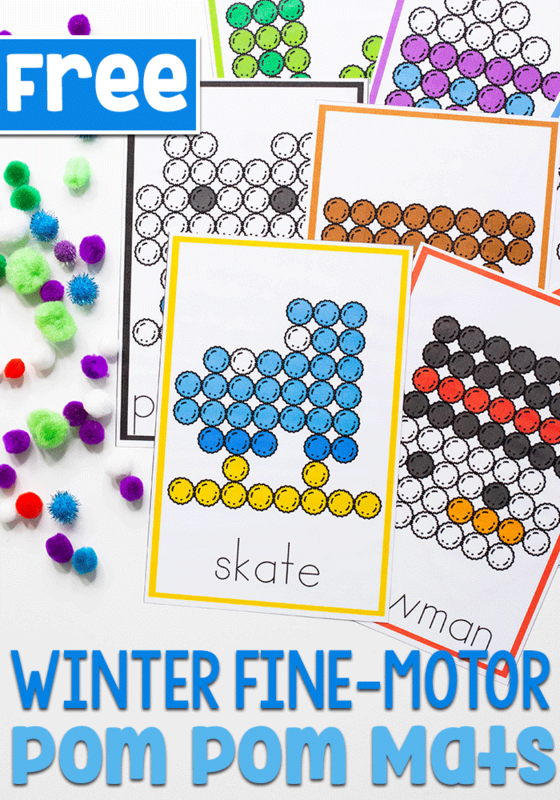 Preschoolers or kids who are struggling with handwriting skills will benefit from these free printable winter fine motor activities! 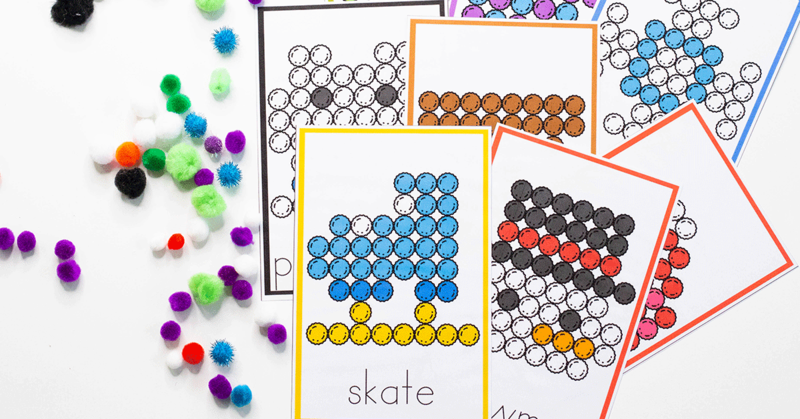 Print and laminate the pom pom cards. 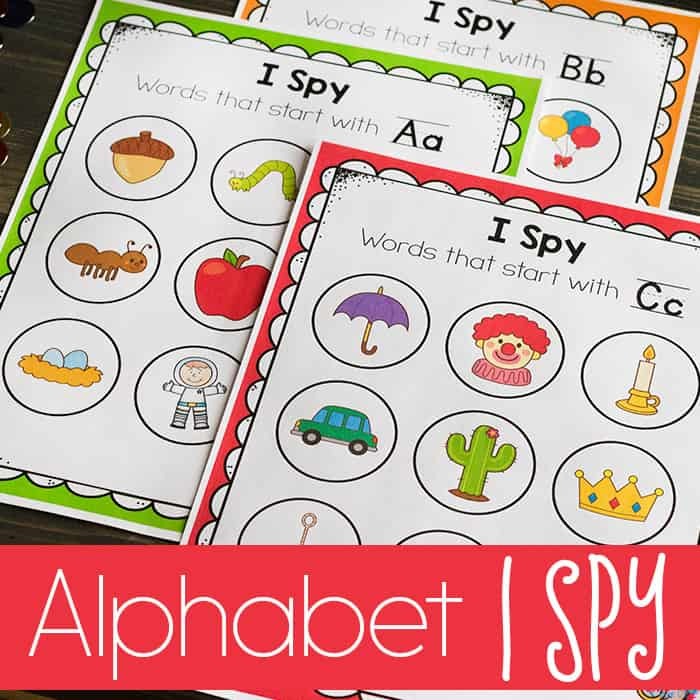 Cut apart the individual fine motor mats. 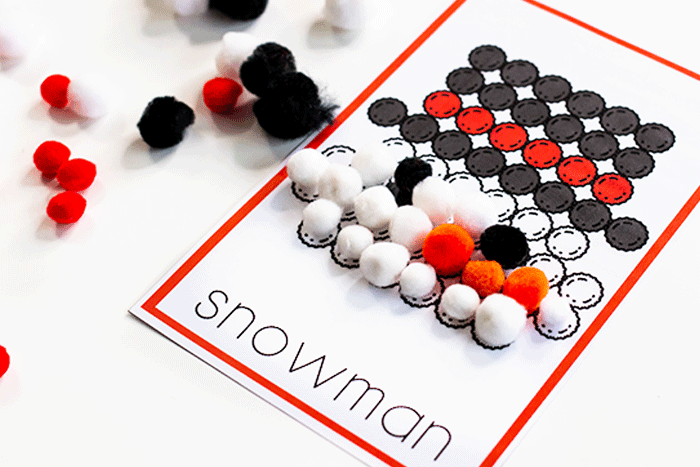 Gather your 1/2″ pom poms and optional tweezers. 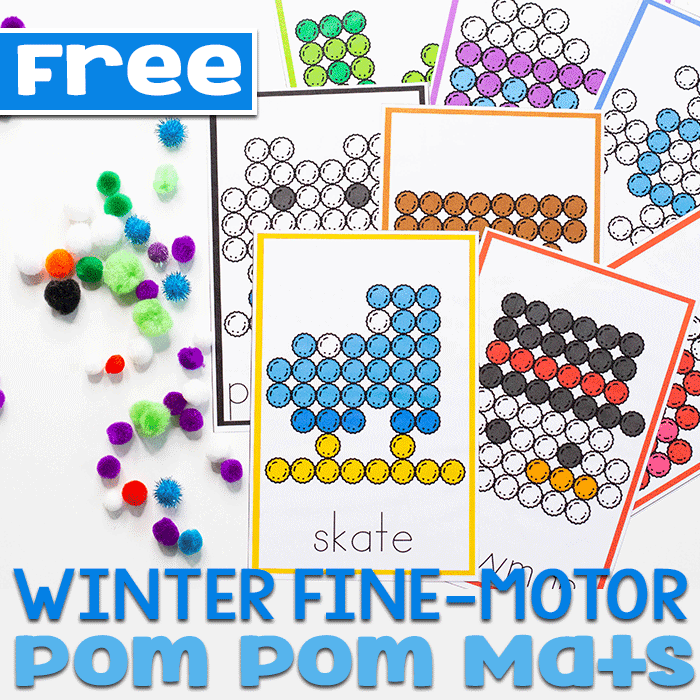 Simply place the pom poms on the matching colors on the winter fine motor mats. While this seems like a simple activity (and it definitely is when you consider it will take about 2 minutes to prep if you have a fast laminator… I love my Fellowes laminator!! ), it is not simple for preschoolers who are starting to work on the pincer grasp. Make sure that you are supervising the activity because while most children wouldn’t, there is always a wild child in the bunch that will want to know what pom poms taste like. 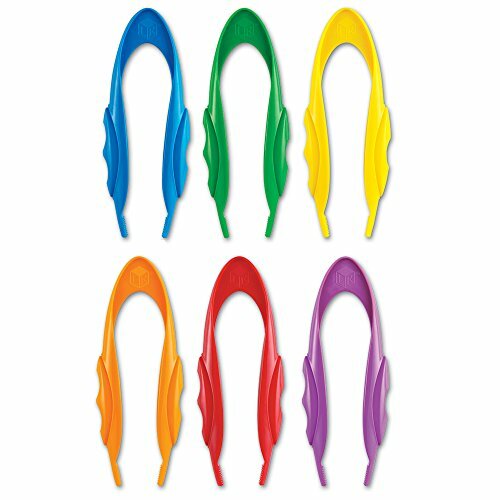 Does each color have its own flavor? Or will it fit in my nose or ears? Anyway, because this is a fine motor activity, it does require small materials and you should always supervise closely. The good news is that she has survived to age 14 with minimal damage…lol! 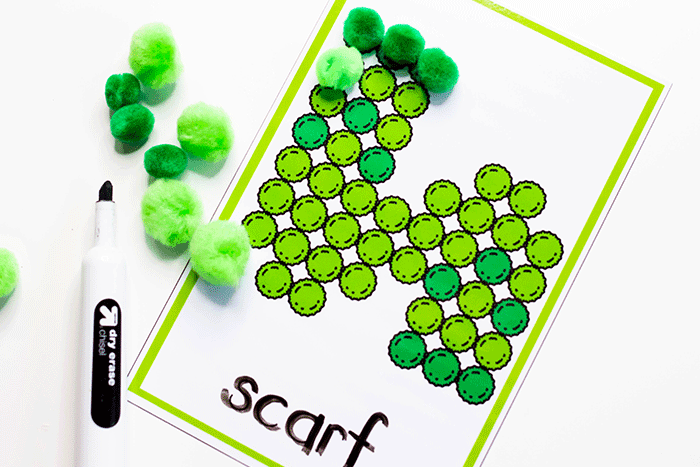 Use a pair of child-safe tweezers to pick up and place the pom poms. 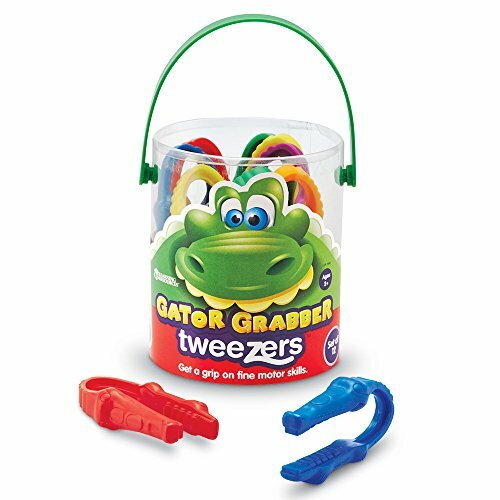 These fine-motor tweezers from Learning Resources are our favorite. Have the child use different fingers besides the pointer finger/thumb combination. Can they grab the pom poms with their middle finger and thumb? Or what about their pinky finger and thumb?? 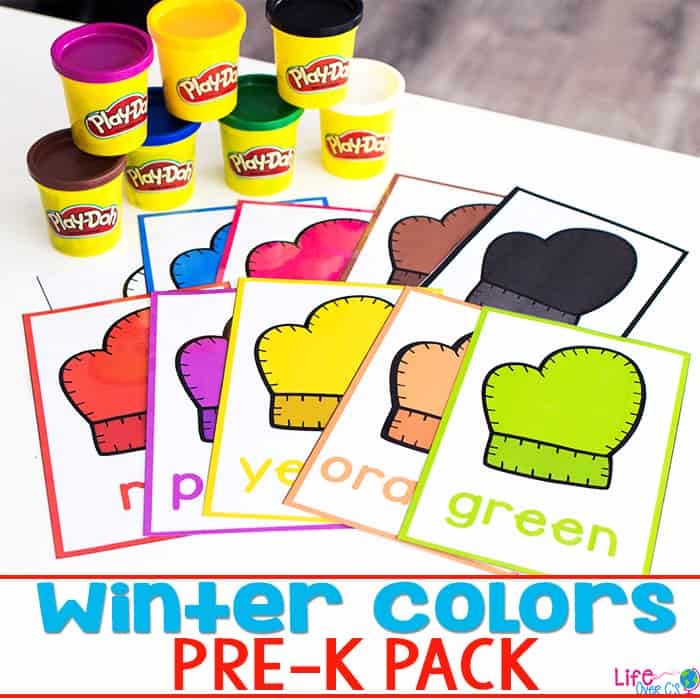 Have your child identify each color as she places the pom poms. 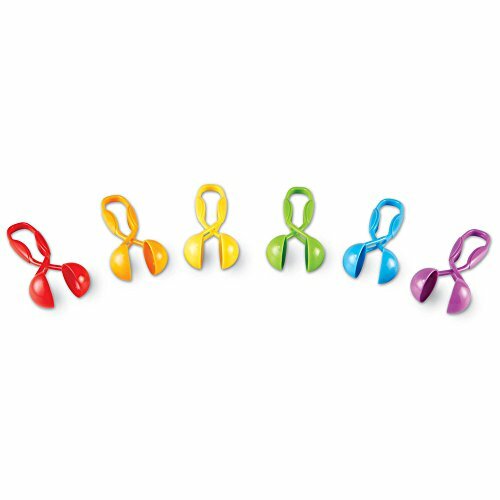 Have your child count how many of each color are on the mat. 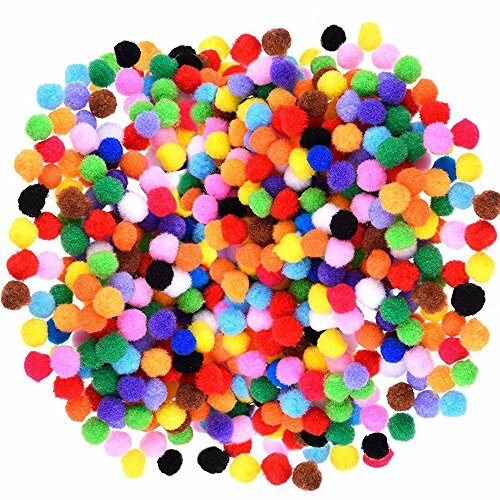 Identify which color uses the most pom poms. Or the least. 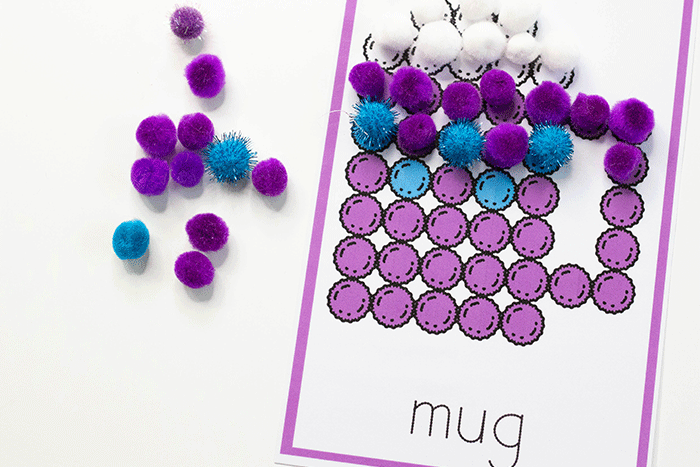 We found that using the pom poms on a laminated sheet worked fine as long as we worked hard not to bump the table and held our fingers high above the pom poms. 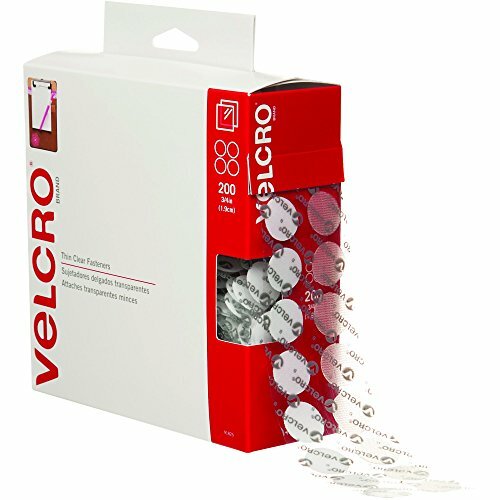 If you feel that your students would struggle to keep the pom poms steady on the mat, you can use the hook side of clear velcro dots on top of each dot and place the pom poms on the velcro. You can also attach the loop side (the soft side) of the velcro to your pom poms to prevent the pom poms from getting stuck or leaving fuzz behind. This will offer some resistance work when removing the pom poms from the mats.